Dallas — When Dallas Fort Worth International (DFW) Airport needed to rehabilitate its busiest arrival runway, the goals were to find a solution that used innovative engineering techniques, minimize the time the runway was out of service, support the airport’s commitment to sustainability, and keep future maintenance costs low. 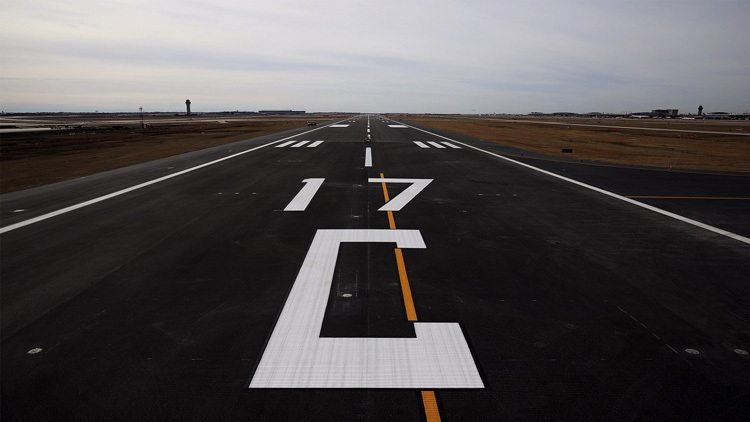 After more than 30 years of use at the world’s fourth busiest airport, DFW’s Runway 17C/35C was ready for a rehabilitation, becoming the first runway to be fully reconstructed since the airport’s opening in 1974. DFW partnered with Jacobs, its on-call civil engineer, to evaluate the runway and determine options to move forward – and the team made a surprising find.